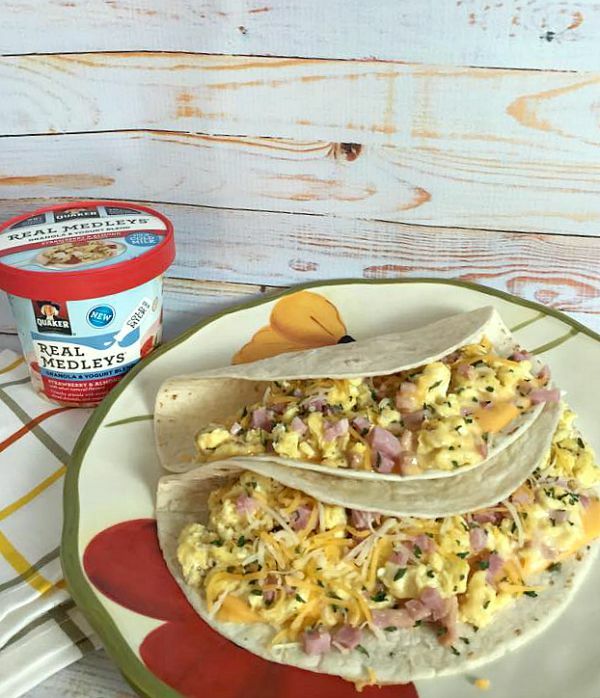 Quaker® Real Medleys® Yogurt Cups are a new product that makes breakfasts and snacks easier and better for you than ever! I have been looking for ways to incorporate a little more substance into my kids’ breakfasts in the morning instead of feeding then sugar cereal and I think have found the perfect solution, and I have seen nothing like this before! I found these because of a sampling they had set up in my local Walmart. They were kind enough to let me sample all three flavors, even after sampling I couldn’t decide between the flavors so I bought 2 of each flavor! These are perfect for the kids during back to school time, an easy breakfast that I don’t have to feel guilty about! 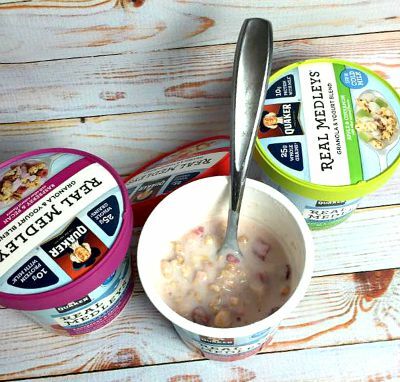 For those of you asking what this product is all about, Real Medleys is a delicious blend of yogurt and multigrain granola with real fruit and crunchy nuts. All you need to do is just stir in cold milk and you have yogurt, granola, and fruit! Then you have a crunchy, cool, and yummy treat! 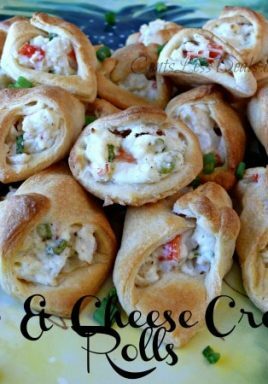 They are satisfying and delicious! 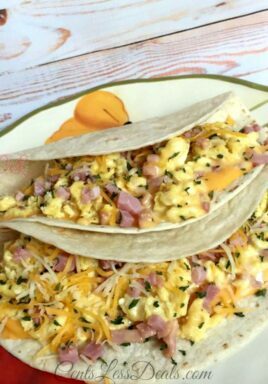 Eggs, cheese and ham served in a soft tortilla shell is the perfect breakfast. 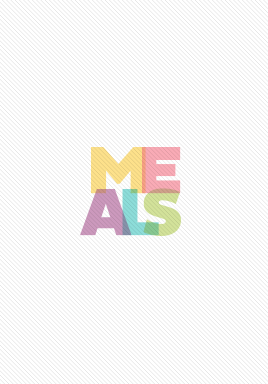 In a medium sized bowl combine eggs and milk. Over med-high heat, add butter to a skillet and melt. Add eggs and stir until are cooked but still glossy. Add in chopped ham and stir until eggs are cooked. Take 1/4 of egg mixture and add to each tortilla. So there you have it! 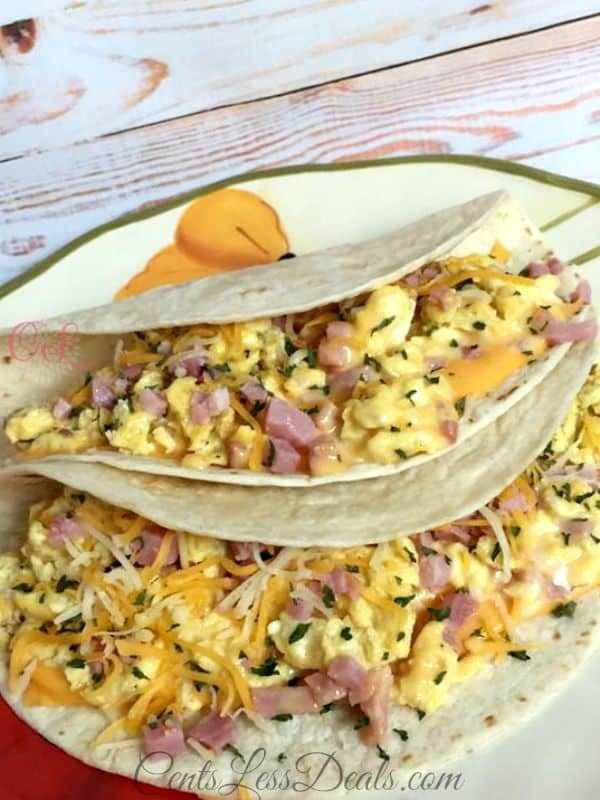 Super easy and delicious breakfast! 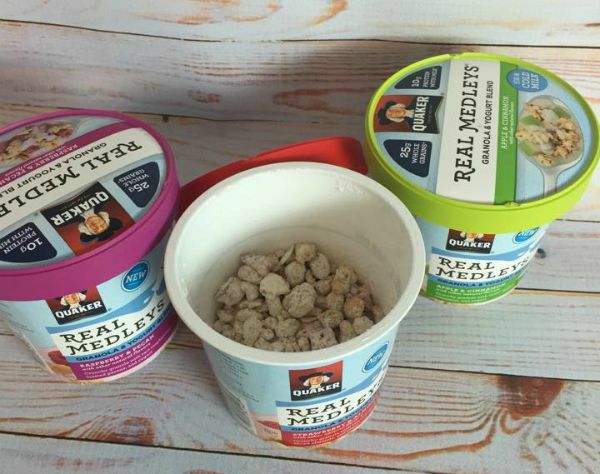 Be sure to check out more delicious recipes with Quaker Real Medleys Yogurt Cups at QuakerLove.com. I’d love to hear which is your favorite of the flavor choices! « Previous PostSummer’s Sassy Lemonade recipe!